This tour includes the best of both worlds. Don’t feel like driving? Ride along as a tandem passenger on this activity. Your tour will start at either our Playa Flamingo office or our Playa Potrero offices. From there you will follow the Monkey Trail up into the surrounding mountains with a stop for refreshments. Then, head back to sea level via the Donkey Trail (optional for advanced riders) and you’ll visit five different beaches. Next, jump on your jet skis on the beach near Playa Flamingo and head to the southern Pacific coast beaches of Playa Conchal and more, including visiting small islands and snorkel spots along the way. 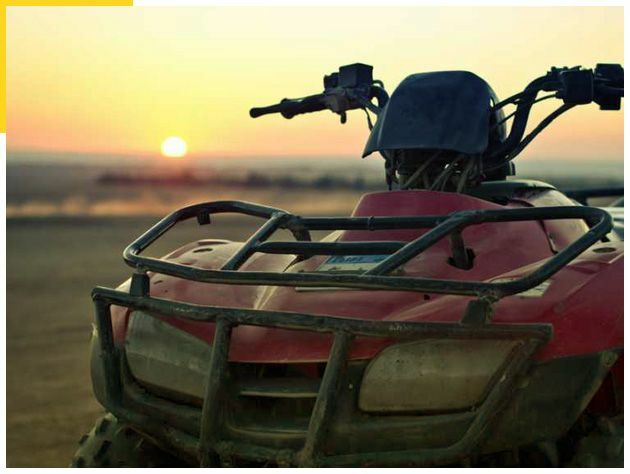 You will then ride back to your ATVs and drive them to the tour jumpoff point. An awesome adventure-packed activity! * In order to offer you the lowest possible price, we do not include transportation in the cost. We do provide transportation for an additional fee. Please contact us to get the quickest, most affordable price for your location.